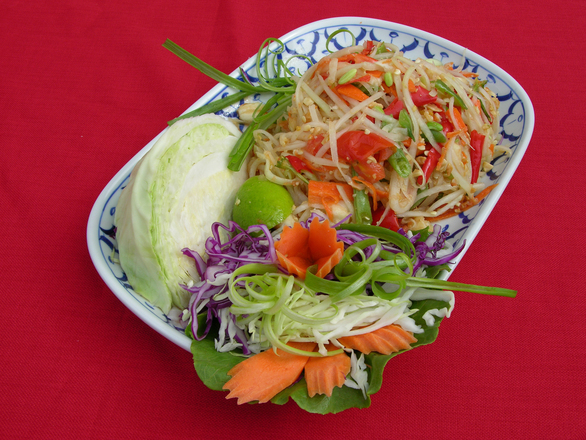 It is evident that Thai cuisine has become a crowd favorite. But as a Thai restaurant, it may be difficult to set yourself apart from the many nearby Thai competitors in your city. We’ve done some research, and have gathered some recommendations for marketing your Thai restaurant. Have a combination of in-store and online specials. Promote one of your dishes on specific days of the week. For example, give customers visiting your restaurant on Mondays discounted Pad Thai meals. Have coupons that are only valid for online ordering, or offer special prices for customers who order online during a specific time frame. Start with your menu. Make sure you have the staple Thai dishes everyone craves, but also include your own specialty meals that are less common. For those unfamiliar with Thai cuisine, it’s a good idea to have detailed descriptions of your meals on your website menu. Once your Menu is the best it can be, you need to focus your attention on your website. The information on your website needs to be up to date. Make sure all of your menu items, specials, restaurant info etc. are accurate. Your restaurant page should be visibly appealing. Include attractive, high quality pictures of your dishes and your restaurant interior. Don’t forget to make sure your uniqueness and your brand personality are showing through on your website. Consider creating a YouTube account. Here, customers can get a more personal look at your restaurant. Show behind the scenes videos of chefs creating your special dishes. Have a restaurant tour available, and a virtual menu tour. Coupons in store and online are always a great way to increase customer traffic to your restaurant. Have coupons for your most popular Thai dishes as an incentive for the customers loving those dishes to come back, or for those who’ve never tried it to come out and give it a shot. SEO is a very important and strategic marketing technique that could really benefit your Thai restaurant. To separate yourself from your nearby competitors, make sure your keywords include more specific terms relating to your restaurant and location. Having active accounts on social media sites is another great way to personally connect with your customers, while at the same time creating the potential to connect with new ones. Make sure you are posting at least once a week, but make sure these posts are interactive. The posts should inspire conversation amongst your followers. Consider trying a social media contest where the winner could get a free meal at your restaurant. When it comes to marketing for your restaurant it’s important to be creative. Highlight the fact that your cuisine has more pizzazz than a hot dog or classic sandwich. Creativity is a necessity; just make sure you’re not straying from the brand personality your restaurant has established.